Has climate destabilization already hijacked the national security conversation? Well, not yet – but it should and it will. To help make my point for dramatic change in national security thought, let’s recall the old frog in boiling water ancedote. If you put a frog into a pot of hot water, it will try to leap out right away to escape certain death. But, if you put the frog in a pot that is filled with water — that is cool and pleasant — then you gradually heat the pot until it starts boiling, the frog will not become aware of the danger until it is too late. He will gradually become the main ingredient in a slippery and unsavory amphibian stew. Apparently human beings share this primordial behavioral characteristic with our amphibian friends. We evolved to detect and react to sudden changes and not to slow-moving, hard to perceive events. And so it is with our failure to collectively react in intelligent ways to ongoing climate destabilization that threatens prosperity, peace and life itself. The incremental but significant environmental variability caused principally by industrial carbon emissions has led to global temperature rise that now constitutes a slow-moving emergency that will affect every nation. 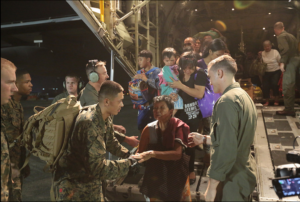 The devastating impact of Typhoon Haiyan – a remarkable extreme weather event (the U.S. Joint Warning Center clocked wind speeds at 190 mph) is a taste of what is to come. An increasing number of scientists believe that such hyper-meteorological events will become more commonplace, impacting all of us, especially the poor of the world. 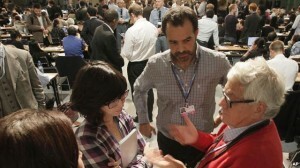 As UN climate change talks in Warsaw, Poland entered their second week, the UK’s Disasters Emergency Committee (DEC) urged countries to take immediate action on climate destabilization. The committee, comprising 14 aid agencies, argue that extreme weather events such as Typhoon Haiyan follow a growing pattern of threats that points strongly towards devastating climate change. Though there is unlikely to be unanimity amongst the partisans in the ongoing climate change science versus politics civil war, there is a growing appreciation that the impact of global temperature rise will be considerable and irreversible on a human timescale. The Intergovernmental Panel on Climate Change (IPCC), a body endorsed by the United Nations General Assembly, stated in its fourth assessment report, “Climate change is occurring, is caused largely by human activities, and poses significant risks for—and in many cases is already affecting—a broad range of human and natural systems.” The more alarmists among the man-made climate change scientists collectively argue that both rapid onset (e.g. mega storms) and gradual onset (e.g. sea level rise) events have the potential to destabilize entire nations and regions. Scared yet? Water and food shortages, destruction of property, uncertainty, poor nations blaming wealthy ones for climate-related disasters—these converging factors form the boiling water in our frog analogy. These are impacts that many seem not to want to perceive as serious threats to human wellbeing. Indeed, we are seven billion bipeds being slowly boiled in a closed eco-system by an unacknowledged flame of our own creation. According to the IPCC scientists, 2-3 degrees celsius of global temperature rise is already locked in due to the sins of our past (read: deforestation and carbon emissions). Even if we wised up, and acted collectively to turn off the heat, (i.e. stopped all carbon emissions and really started to hug trees) we would still have to contend with a vengeful Mother Nature angrily returning the abuse we’ve inflicted upon her. As was the case thousands of years ago, we are now more at risk from nature—albeit an ecosystem we have destabilized—than from the calculated aggression of state and non-state actors. Battleships, F-35 super-sonic fighter jets, ballistic nuclear missiles and all other expensive war machinery will not help to protect even developed nations from the most insidious and potent forces on the planet: storms, floods, droughts, species loss, habitat changes and vector-borne diseases. Nor will loss of livelihood be taken calmly by those most affected. 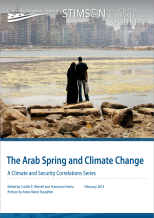 Was climate change a causal factors of The Arab Spring? In the study The Arab Spring and Climate Change (2013), the authors, Caitlin E. Werrell and Francesco Femia, describe climate change as a “threat multiplier.” In Syria, for instance, they tell us that a combination of “social, economic, environmental and climatic changes … eroded the social contract between citizen and government in the country, strengthened the case for the opposition movement, and irreparably damaged the legitimacy of the Assad regime.” As with the case of Typhoon Haiyan, one cannot attribute an extreme event (man-made or natural) to environmental shifts alone. Yet it is becoming increasingly clear that environmental impacts can lead to the destabilization of already socially, economically and politically fragile states. Environmental damage can be slow to hurt (like a delayed hangover) but the pain will come and might be just as devastating to lives and property as any major terrorist attack or continental war. Unfortunately, the slow-moving emergency is not being debated on CNN, Fox News or on any other main stream media channel so it is hard to say when or if there will be significant public outcry leading to pressure on politicians to mount a defense. So as the great industrial powers fixate on fighting the kinds of battles they’re used to, extreme weather events like Typhoon Haiyan and less dramatic but lethal shifts (like the decrease in global crop yields, and sea level rise) will converge with other factors to adversely affect more people in more diverse ways – overwhelming the capacities of governments to respond. 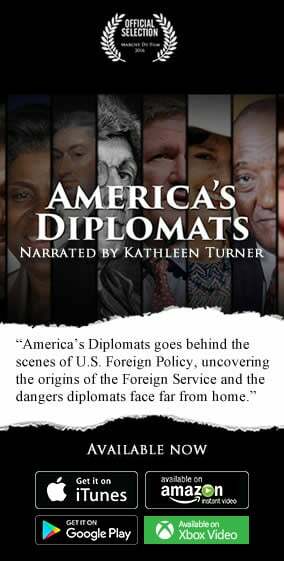 Giving the increasing intensity and frequency of Mother Nature’s jabs and hooks to the rib cage of the poor of the world, it is ill-advised for national security decision makers across the globe to confine “security” discussions to traditional threats. An irate Mother Nature demands our attention. In addition, notions of security that have traditionally centered on the axis of Great States conflict can no longer be the dominant framework for understanding and responding to the security challenge. Given this evolving environmental disorder, world leaders’ myopic focus on military and economic primacy must yield to new imperatives imposed by an increasingly upset head of household – Mother Nature. Indeed a new framework for understanding security is needed – one that incorporates environmental variability considerations into the national, regional and international security calculus. Despite the mounting evidence of global climate induced disorder, practically all present-day security discussions center on threats posed by adversaries (actual, or hyped) to inflict pain or deny access to the world’s common spaces—ocean, air, space, and cyberspace. This off-centered focus places climate change in the national security blind spot, leading to poor or non-existent mitigation and adaption policies – further exacerbating existing vulnerabilities. 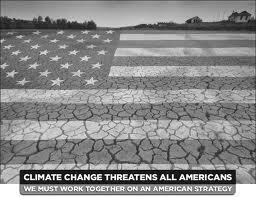 Climate destabilization should become the long pole upon which the tent of national security is supported. This will not be a palatable paradigm shift for military and political leaders whose old-school notions of national security (and economic security) are inextricably linked to war-making prowess. However, I hope that humans do demonstrate in the near term that we are indeed the superior species on this once greener planet and are willing to act collectively to avoid the fate of slowly boiling frogs.